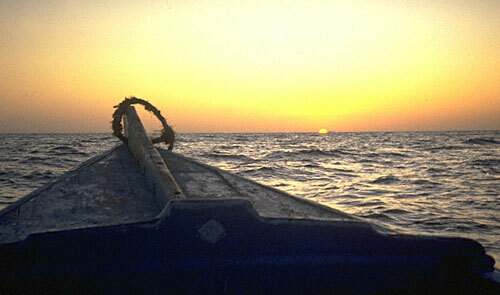 Fishing and trolling often continues up until sunset. I would like to thank the various fisherfolk in Baluchistan, Sindh and Punjab provinces that have allowed me to intrude in their lives. By inviting me into their homes and allowing me to study their garbage, they allowed me to understand some past life ways as well as enriched me with life-long friends. In retrospect, I am writing this almost 16 years (in 2010) after I worked in Buleji. I haven't been back to visit my friends, but I think of them often. They have in so many ways changed the way I view my world.